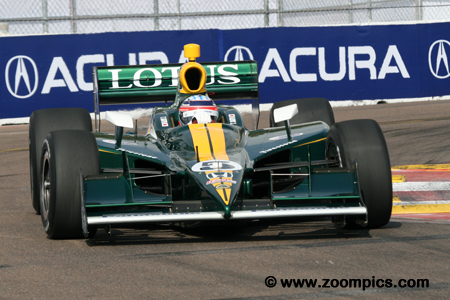 Now in its sixteenth season, drivers would compete in seventeen rounds for the IZOD IndyCar Series title. Also on the line were the A.J. Foyt Oval Championship and Mario Andretti Road Course Championship. The season opened in late-March on the temporary street course at Saint Petersburg, Florida and ended at Las Vegas Motor Speedway in October. In between these two weekends, there were races held at Barber Motorsports Park, Long Beach, San Paulo, Brazil, Indianapolis Motor Speedway, Texas Motor Speedway, Milwaukee, Iowa Speedway, Toronto, Edmonton, Mid-Ohio, New Hampshire Motor Speedway, Sonoma, Baltimore, Twin Ring Motegi and Kentucky Speedway. There were a total of ten street/road courses and seven ovals. There were some newsworthy stories for the 2011 season. 2011 would be the last season for the Dallara IR-05 chassis – it was introduced in 2007. The normally-aspirated V8 engines supplied by Honda would also be replaced after six seasons. 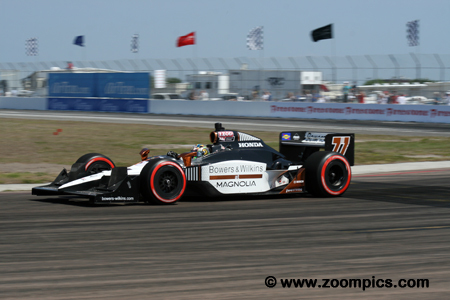 Nineteen rookies participated during the 2011 season - with J.R. Hildebrand, Ana Beatriz, James Jakes, Sebastian Saavedra, Charlie Kimball and James Hinchcliffe competing in a majority of the events. There were also some changes to race procedures – the restart zone was moved from corner three to the Start/Finish Line. During caution periods the lead lap cars would pit first – followed by those a lap down. The series would also be using double-file restarts – similar to the method used in NASCAR. 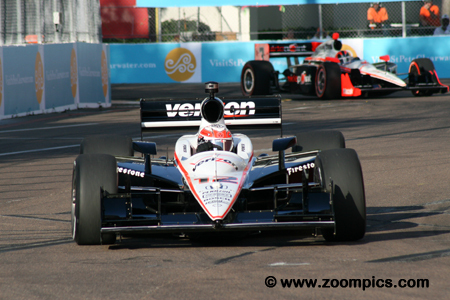 Round one of the 2011 IZOD IndyCar championship was held during the Honda Grand Prix of Saint Petersburg weekend. Competitors would race around the fourteen-turn 1.800-mile temporary street course for one-hundred-laps. There were a total of twenty-four starters. Sebastien Bourdais would have made it twenty-five but his car was withdrawn after it caught fire in the final practice session. Defending IndyCar Series champion, Dario Franchitti led the group one qualifying session and was second quickest in ‘Firestone Fast Six’ – he would share the front row with the pole-sitter, Will Power. Franchitti dominated the race taking the lead on lap-5 and surrendering it on lap-71 during a pit stop. He won by a comfortable margin and led ninety-four of the one-hundred-lap contest. As the weekend progressed, it appeared that defending race winner, Will Power was ‘on track’ to score his second consecutive victory at St. Pete. Power started on the pole - topping the timesheets during the ‘Top 12’ and ‘Firestone Fast Six.’ He led a total of six laps during the race but trailed Franchitti for much of the contest. Power captured the runner-up spot – 7.161-seconds behind Franchitti. 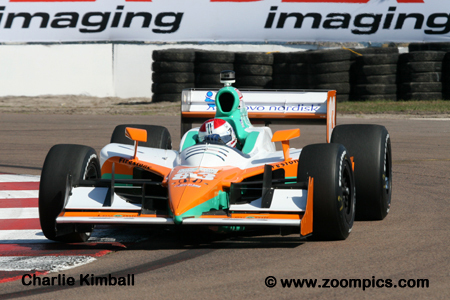 Tony Kanaan left Andretti Autosport and joined KV Racing Technology for the 2011 season. Kanaan drove the No. 82 Dallara which appeared with the same livery as Jimmy Clark’s 1965 Indianapolis 500 winning Lotus 38. Kanaan started eighth but moved to second after the first restart. During the final laps, he was third and fighting off a hard-charging Simona de Silvestro. 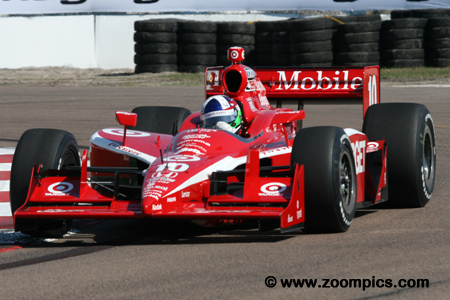 Kanaan was able to maintain the position. 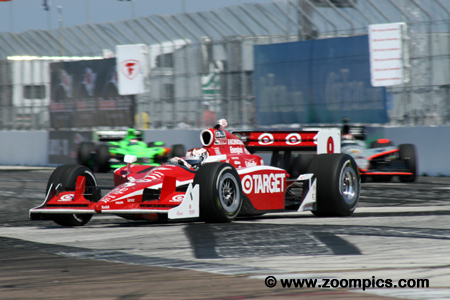 Despite being one of five drivers involved in the first lap incident at corner one, Scott Dixon was able to continue – unlike Marco Andretti and Mike Conway who retired. Dixon advanced to the ‘Firestone Fast Six’ where he recorded the third quickest time. Unfortunately for Dixon, he was never in contention after the accident and finished sixteenth – four laps behind the race leaders. Second-year competitor, Simona de Silvestro impressed all in attendance with her driving skills. De Silvestro did not make it beyond the first qualifying session and started seventeenth in the twenty-four car field. 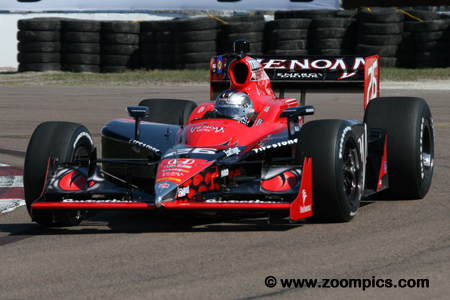 She made good progress during the race and battled with Tony Kanaan for third place during the final 10-laps. Unable to make the pass de Silvestro settled for fourth – her best finish in eighteen IndyCar starts. KV Racing Technology entered a second Dallara which also appeared with the retro Lotus livery. The No. 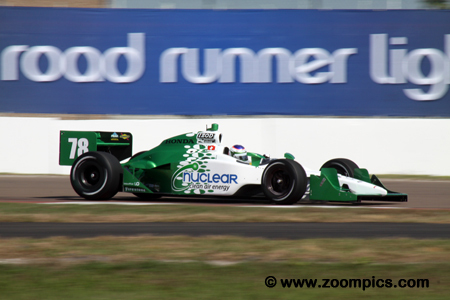 5 car was driven by the Japanese driver, Takuma Sato and was sponsored by Panasonic Electronics. Sato made it to the ‘Top 12’ qualifying session where he was eleventh quickest. Taking advantage of the first lap incident, he was able to move up the race order and record his best finish to date – a fifth place finish. Another driving benefiting from the first lap corner one incident was Canadian, Alex Tagliani. Tagliani was driving the No. 77 Sam Schmidt Motorsports Dallara. He advanced to the ‘Top 12’ qualifying session and recorded the tenth fastest time. Tagliani avoided the turn one accident and at the checkered flag was in the sixth position. 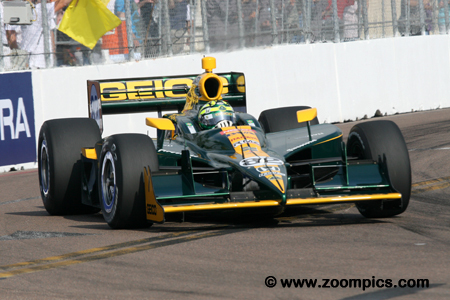 This was Tagliani’s tenth top-ten result in twenty-seven IndyCar starts. Marco Andretti started seventh in the No. 26 Venon Energy Drink sponsored Dallara. Andretti’s race ended in corner one on the first lap. It started when Helio Castroneves made contact with Andretti who in turn ran over the back of Scott Dixon’s car. This caused Andretti’s Dallara to flip and land upside down. Also involved in the incident and unable to restart was fellow Andretti Autosport driver, Mike Conway.